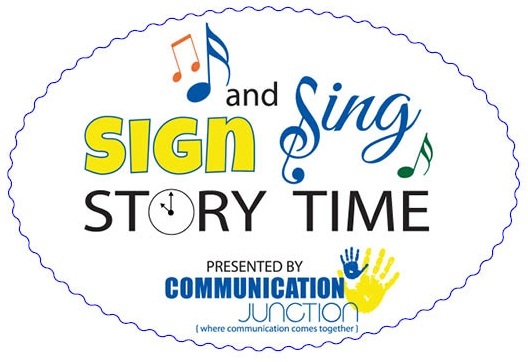 Join Abbey Cook of Communication Junction for a 30 minute interactive Sign and Sing Story Time designed to engage your child and encourage her love of books. This story time is great for children ages 0-5. Each Sign and Sing Story Time is created around a theme and filled with stories, songs, movement and bubbles. You will also learn a few signs to take home and practice with your baby all month long. Each Sign and Sing Story Time theme lasts for 1-2 months. No registration is required.